The head of domestic security last week charged that a political assassination by the "right wing" is near. Ma'ariv: Charges were based on a poll. An unprofessionally authorized poll was the basis for charges by Israel Security Agency (Shin Bet) chief Yuval Diskin Sunday night that another political assassination by "rightwing extremists" is near, according to the Hebrew-language daily Ma'ariv. The survey showed that there are many people who said they would be prepared to use a weapon to murder the Prime Minister or other political leaders in order disrupt policies against a Jewish presence in Judea and Samaria. Diskin, at an ISA ceremony in memory of Prime Minister Yitzchak Rabin, revealed that the poll was one of the sources for his accusations. He told the Cabinet last week that there is an increasing fear of another political murder. 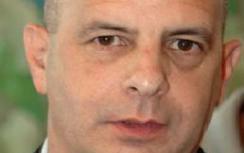 Ma'ariv quoted an unnamed and former ISA official, "It is hard to believe that a poll was taken among the right wing. If so, it was very "unprofessional behavior" to use a poll to determine if there is a danger of an attack, similar to the killing of Rabin by Herzliya resident Yigal Amir. He added that there is a large pool of information available from professional surveys conducted by Israeli universities. The ISA refused to respond to the report, explaining that it never reacts to comments in the media. Diskin's remarks set off a cascade of similar pronouncements by Infrastructure Minister Binyamin Ben-Eliezer (Labor), outgoing Prime Minister Ehud Olmert and Defense Minister Ehud Barak. All of them railed against "the growing threat" of the right wing, although the Ma'ariv report indicates that a poll provided the main basis for the charges.